One of my boys goes to reading group to get extra help with reading. When it comes to Teacher Appreciation Week, I like to try and include anyone at the school who helps teach my children. Not just the teacher they are with most of the time. So, I put together this Muddy Buddy Teacher Gift, specifically for the reading teachers that my son has. This is a simple one. 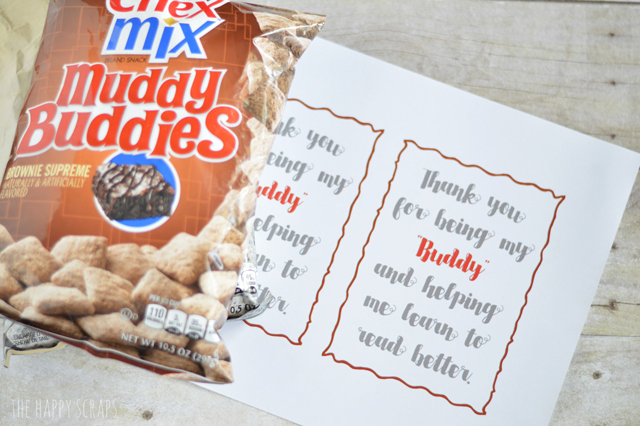 Print out the free printable (for personal use only) HERE, and grab a bag of Muddy Buddies from the store. Then all you need to do is tie the tag on with some baker’s twine or ribbon. Have your child write who it is to and from on the back, and you have it all ready to go. 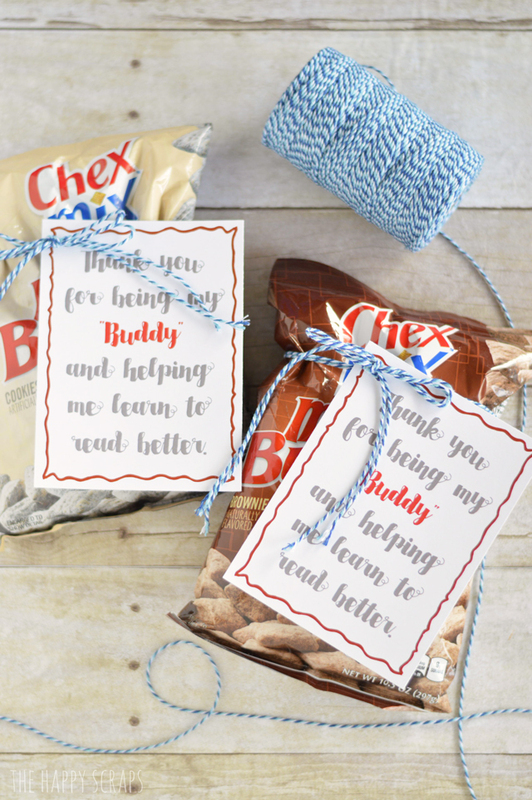 Looking for other teachers gifts? 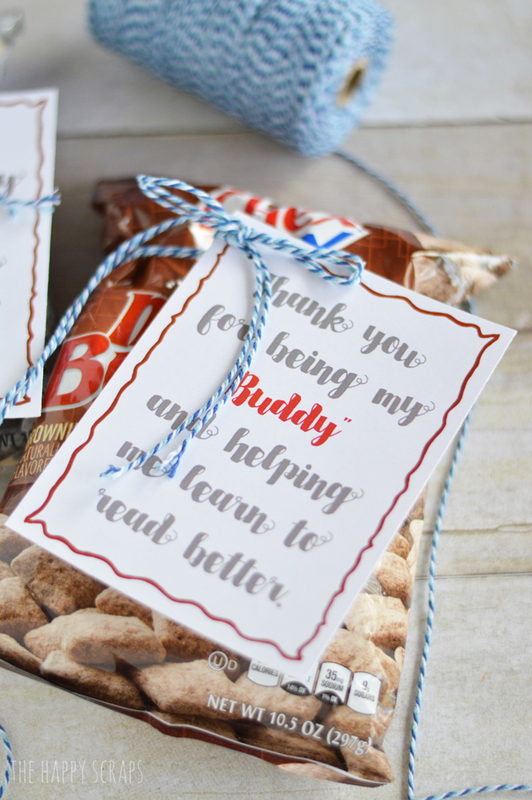 I have plenty of easy and useful teacher gifts, find them HERE!